Also we can design and produce according to customer’s requirement. 1.the platform is 4mm thickness steel plate with 8mm thickness rhombic-shape steel mesh covered. 2.The body and guard rail adopt high-strength Rectagular Steel Tube. 3.Hydro cylinder:2 pcs with NOK brand seal ring from Japan. 4.Explosion-proof valve: prevent the platform falls down suddenly when oil pipe crack. 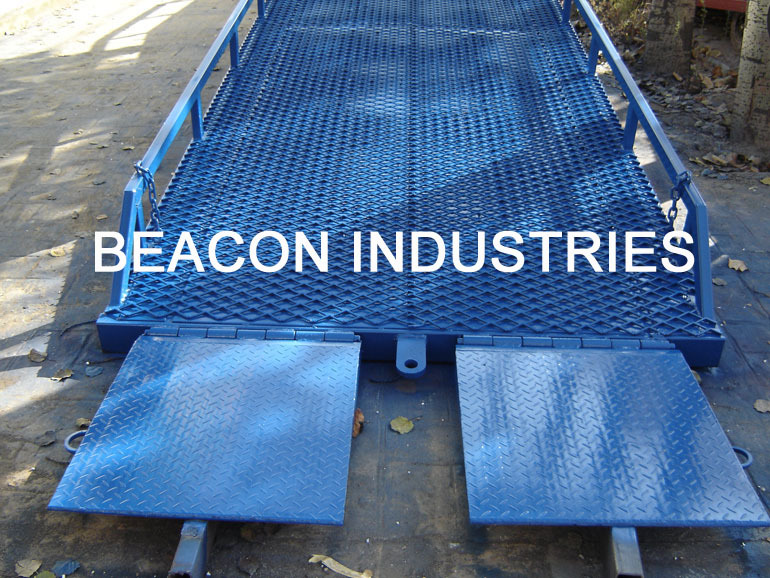 2.The ramp has hydraulic overload protective organization to ensure that equipment will not lift when the load beyond its rated load capacity. 4.Full-range, telescopic toe protection assures total dock attendant safety.